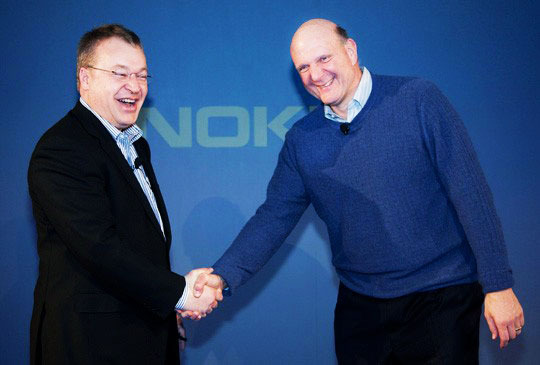 Read on for more about the Nokia-Microsoft deal. As we indicated yesterday, the deal could make a lot of sense: Nokia is still at the top of its hardware game, producing among the highest-quality handsets on the market, but its software efforts (Symbian, MeeGo) have foundered. Microsoft’s Windows Phone 7 OS provides arguably the smoothest user experience in the industry but has a lot of ground to regain in market share against Apple’s iOS and Google’s Android. A combination of Microsoft’s mobile software prowess and strong developer relations with Nokia’s hardware design and global retail presence, especially in emerging markets, could be a force to reckon with. A potential risk for Nokia lies in the fact that Microsoft tightly controls the user experience on Windows Phones to ensure uniformity and high performance. As a result, Nokia might not be able to sufficiently differentiate itself from other Windows Phone 7 handset manufacturers, from HTC to Samsung, LG, Dell, and the like. Nokia says it plans to innovate “on top of the platform” — what that will entail remains to be seen. 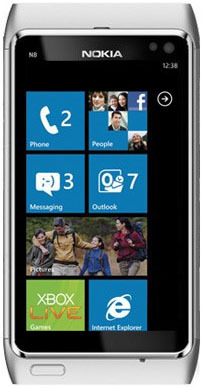 The first Nokia Windows Phones should hit the market in late 2011 or early 2012. The company is planning a significant cut in R&D staff and has entirely reshuffled its leadership to match the new strategy. Symbian and MeeGo are most likely dead as consumer OSes, and Nokia is unlikely to support its Qt framework, which WP7 does not support. Windows Phone 7 remains a smartphone OS, though — and one that requires serious hardware capabilities, at that — so Nokia will still need a separate platform for feature phones, likely Series 40.